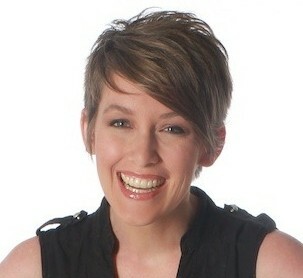 Since we live in Florida, we never get snow, which is heartbreaking for my son, Kai. He longs to make a snowman, go sledding, and have a snowball fight. So, I decided to add a wintry touch to our living room to help cheer him up; once the snowfakes were finished, I hung them on our windows. 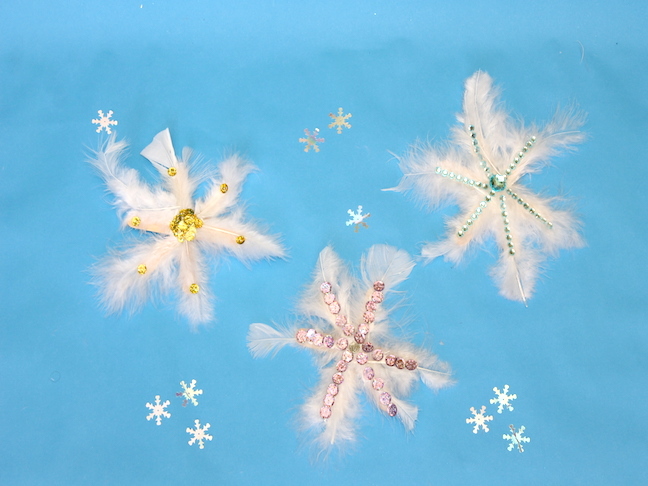 (You can also hang them above stockings on the mantle, or as ornaments on your Christmas tree.) 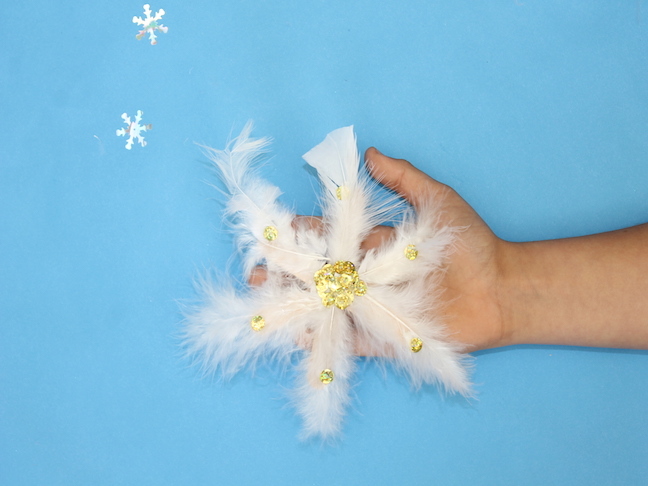 And here’s the thing: Kids can make this feather snowflake craft on their own, while you make dinner, wrap holiday gifts — whatever! 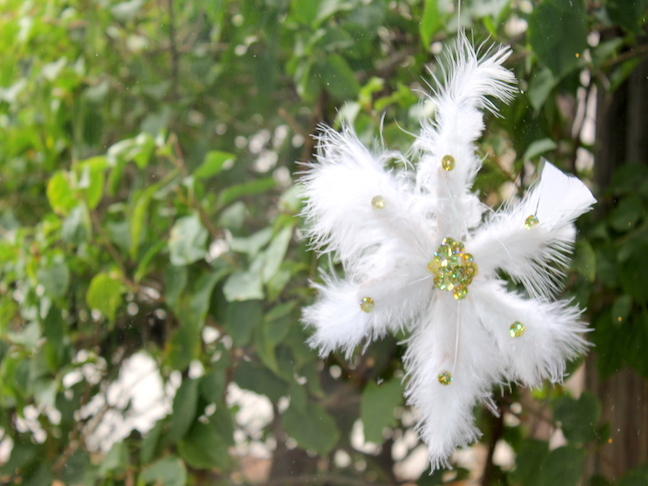 Fishing line to hang the snowflake. 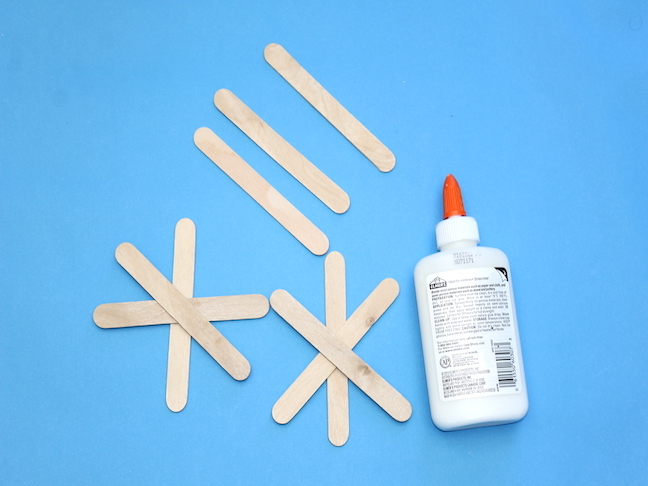 Step 1: Glue three popsicle sticks on top of each other, in the shape of a star. 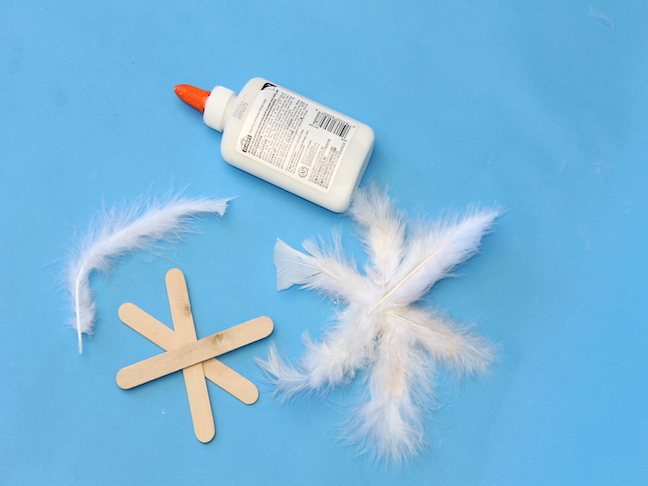 Step 2: Glue feathers onto the popsicle sticks. 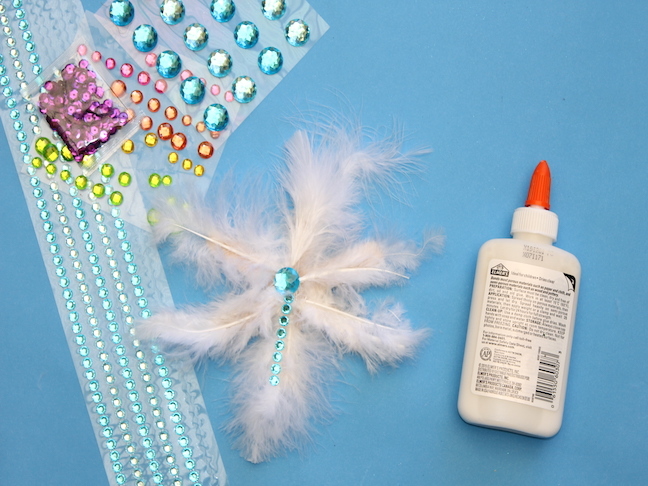 Step 3: Adorn the snowflakes with sequins, gem stickers, pom poms, or any other leftover craft supplies you have in your craft box.